Not all heroes wear capes, goes the platitude. In fiction and films, we frequently witness some characters that were successful in saving the world. Unknown to many people, there is a man that we should thank because we owe our lives to him. His name is Vasili Arkhipov, he prevented World War 3 from happening 54 years ago, during the Cuban Missile Crisis. Vasili was a Soviet submarine commander who singlehandedly saved the world back when World War III is almost at the highest risk of breaking out. Vasili was a Soviet Naval Officer aboard a B-59 submarine. The US Navy showed aggression against Vasili's B-59 submarine. A carrier strike group launched an offensive when Vasili's sub was detected. They dropped explosive depth charges around the sub so that it will be forced to emerge in the above sea level. Fearing for the crew's life, the Captain of the submarine named Valentin Savitsky ordered to fire a Hiroshima size nuclear torpedo aimed at the offensive carrier strike group. Luckily, the launching of a nuke torpedo needs approval from Arkhipov. 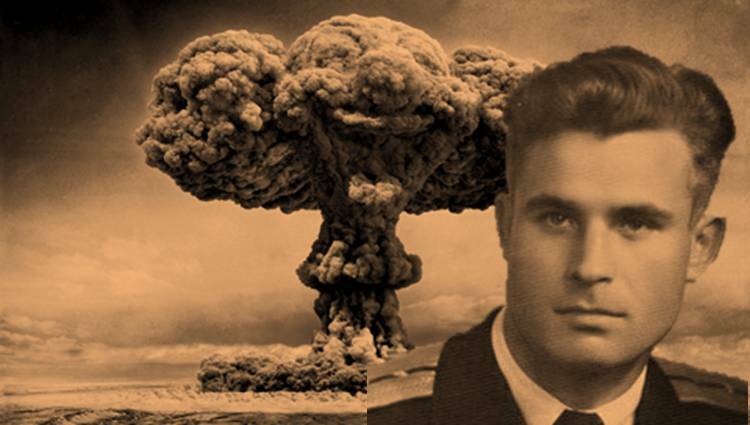 Vasili Arkhipov did not authorize the launch of the torpedo. Thanks to his just reasoning, the deadly nuke torpedo was not fired at USS Beale. If they could've fired the nuke, it would instantly lead to World War 3 given the amount of nuclear weapon stockpile that both superpowers have. We should thank Vasili for his rational thinking that in turn saved us from nuclear holocaust. October 27, 1962, should be remembered as the Arkhipov Day.